elected as the club president for 2017. Please help me to make the coming year a success for our club. In addition to our regularly scheduled second Sunday and fourth Saturday breakfast meetings, we are planning a number of special events. These include Go-Karting in March, a trip to the NY Auto Show in April, Connecticut back-road tours in the spring and fall and a trip to the Montreal Alfa Romeo Convention in July. I would also like you to be aware of the opportunities afforded by our neighboring Alfa Romeo Clubs. 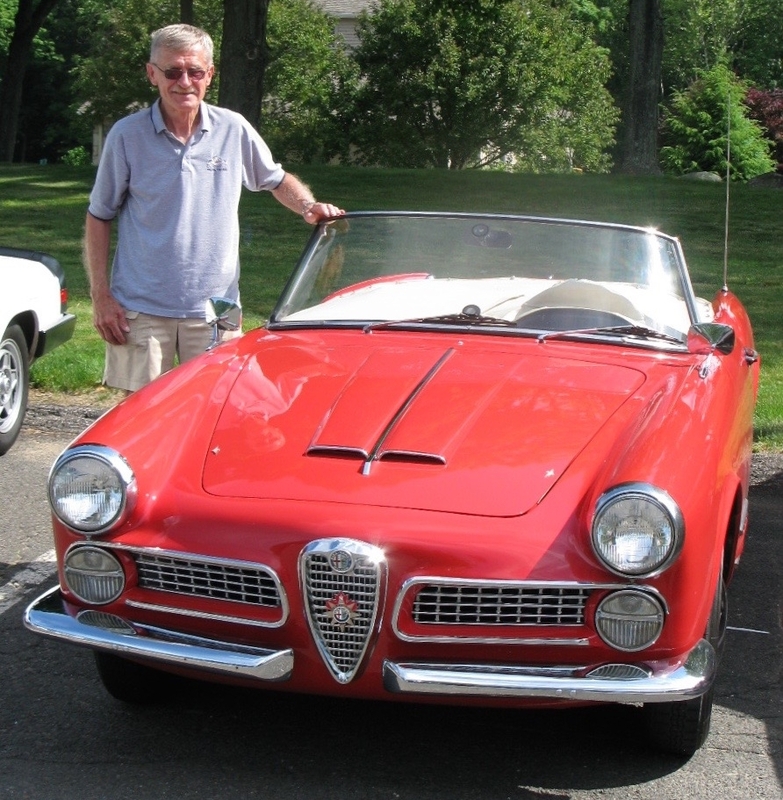 Both AONE (Alfa Owners of New England) and NYAROC (New York Alfa Romeo Owners Club) have touring events and parties that we are welcome to attend. Also, the Northeast Coast Chapter of the Fiat Club America has a long list of Italian car events. Please let me know if you have an idea for a special event for our club. Alfa Romeo Owners Club of Connecticut. I have stepped down from the CT-AROC Board. I want to thank all of our members who have contributed to and assisted me in running the club and making the 2015 AROC National Convention a brilliant success. Roger Carlson has steped up and has taken my place as President of the club. I know he will be an excellent leader. As of December, membership [counting active spouses have reached 93]. Stay tuned for a note from Roger.